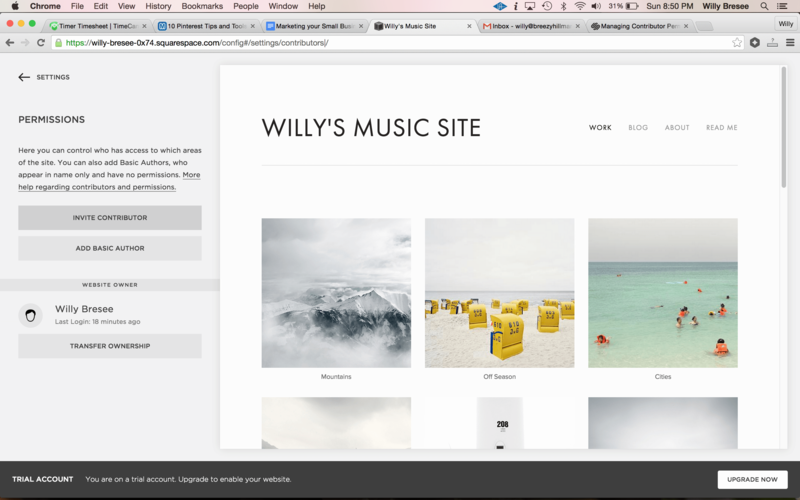 Keep reading for our quick, easy instructions on how to create your Squarespace site and add a contributor. 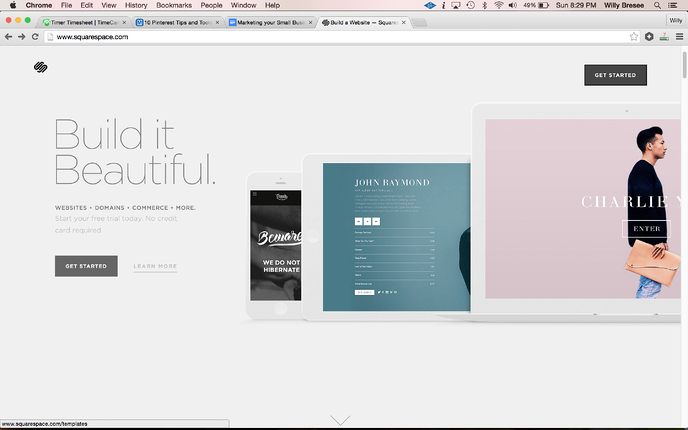 On the Squarespace site, click Get Started. 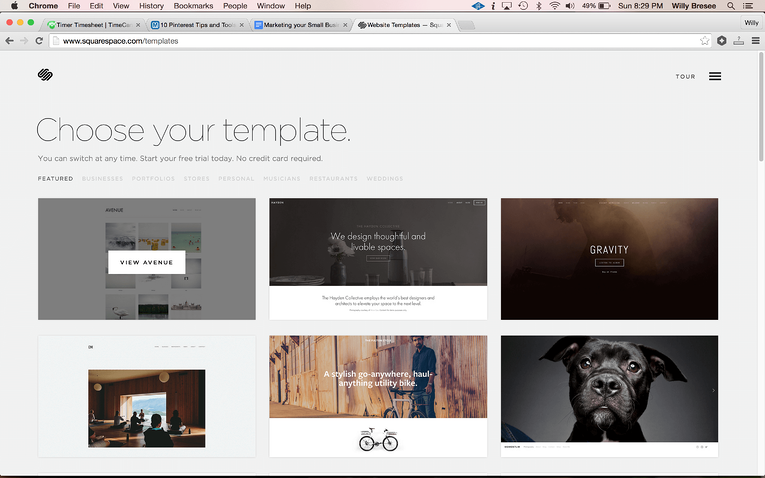 Select a template you love. Don’t worry if it doesn’t look exactly as you would want. We can change a lot later on! Once you’ve clicked on the thumbnail of the template you want, you can read a description of the template and view a live preview. If you still love the template, click Get Started With This Design. Enter your desired account information into the form that appears. Use your name and your business email address, or the name and email address of your first contributor. 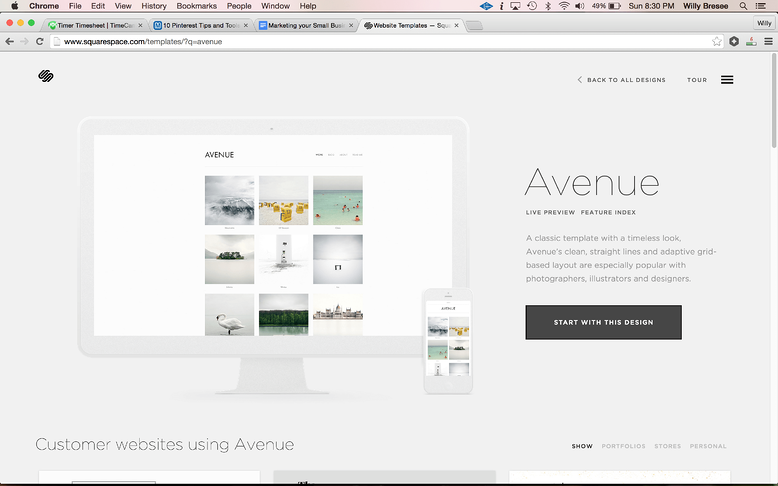 When prompted, choose the purpose and title of your site. For most purposes, we recommend selecting Personal. Other plans cost more, and many businesses and organizations don’t need all the additional features. On the home menu, click on Settings, then Permissions. In the Permissions menu, select Invite Contributor. Enter your contributor’s name and email address. 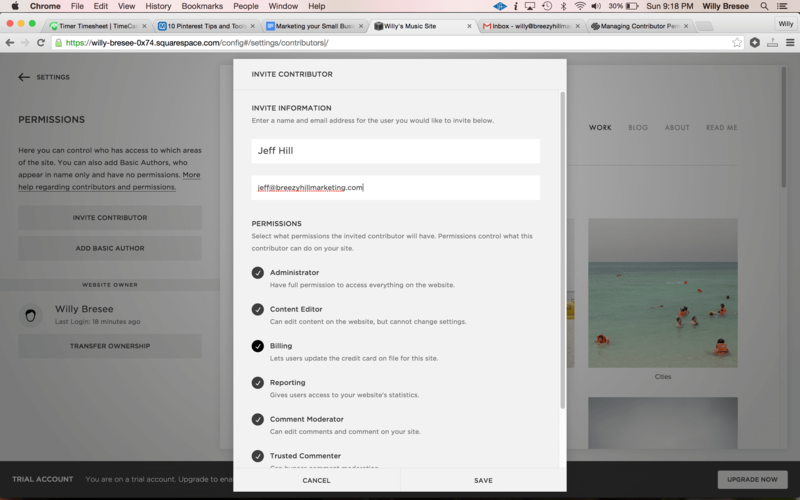 Check all the permissions that you want your contributor to have, and press Save. 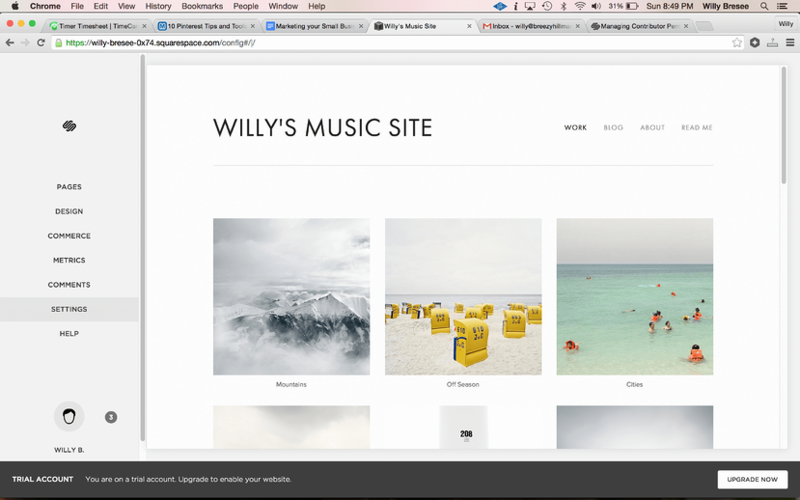 Congratulations, you’ve successfully created your Squarespace site and added a contributor! 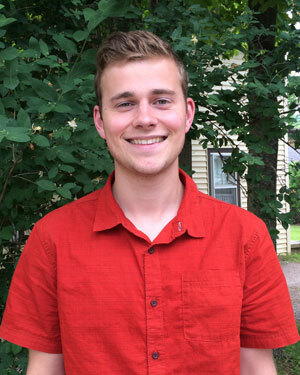 I'm an Associate Content Marketing Consultant at Breezy Hill Marketing, and am currently studying Religion and Music at Skidmore College.